Modern French poets Paul Verlaine and Arthur Rimbaud have made an enormous influence on Western literature - their tangled lives as much as their poetry. Translating these two has been a major challenge for many poets of the past, but now two contemporary poets have produced new translations of classics by them both. 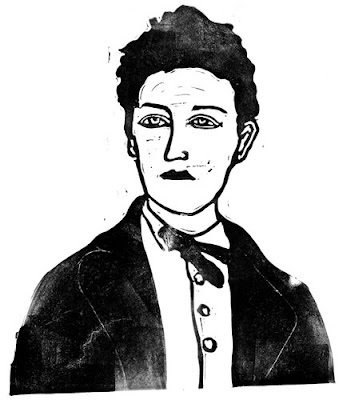 W.W. Norton will publish a new translation of Rimbaud’s Illuminations by the poet John Ashbery in April. The New York Review of Books features one of them, Tale, in its current issue (January 13, 2011). In the interest of textual comparison, I have reproduced below the first paragraph of Ashbery’s translation, followed by that of Louise Varèse, from the revised New Directions edition of 1957. A Prince was annoyed at always being occupied with perfecting vulgar generosities. He foresaw amazing revolutions in love, and suspected that his wives could come up with something better than complacency adorned with sky and luxury. He wished to see the truth, the hour of essential desire and satisfaction. Whether or not this was an aberration of piety, he wanted it. He possessed at the very least a rather broad human power. A Prince was vexed at having devoted himself only to the perfection of ordinary generosities. He foresaw astonishing revolutions of love and suspected his women of being able to do better than their habitual acquiescence embellished by heaven and luxury. He wanted to see the truth, the hour of essential desire and gratification. Whether this was an aberration of piety or not, that is what he wanted. Enough worldly power, at least, he had. 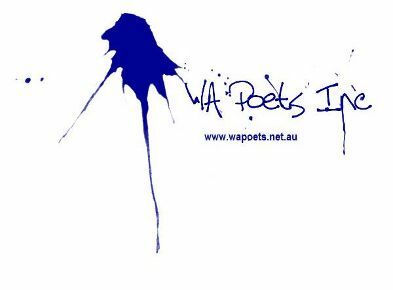 The WAPI Song Lyric Contest is part of the 2011 WA Poetry Festival and is coordinated by WA Poets Inc. (WAPI) at their discretion. 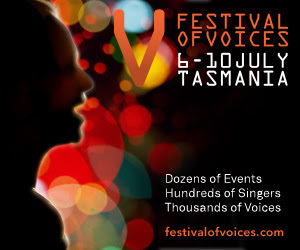 A panel with considerable experience in music and poetry will be responsible for judging entries. All entries will be judged anonymously. The names of the Judging Panel will not be revealed to entrants until the presentation of the awards. The first prize is a voucher worth $150 redeemable at Crow Books, 900 Albany Highway, East Victoria Park. Second and third prizes may be awarded at the discretion of the Judging Panel and will consist of books and other publications donated by other sponsors of the Festival. The WAPI Song Lyric Contest is open to writers from anywhere and is subject to a fee of $6 per entry, an entry consisting of one song lyric. The contest is for song lyrics only—music is not required. The deadline for entries is midnight Western Australian time 15th July 2011. Prizes will be awarded at the Presentation Evening at City Farm, 1 City Farm Place, East Perth on Friday 2nd September commencing at 7pm. 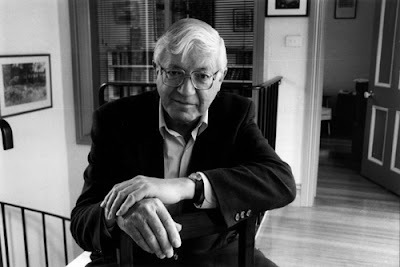 Entry to the eighth annual Australian Book Review poetry prize – renamed the Peter Porter Poetry Prize, in memory of the late Australian poet – is now open. 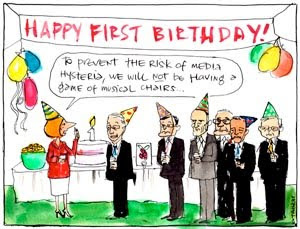 Poets must reside in Australia or be Australian citizens living overseas. Each entry must be a single poem of no more than 100 lines. Multiple entries are permitted, and all poems will be judged anonymously. 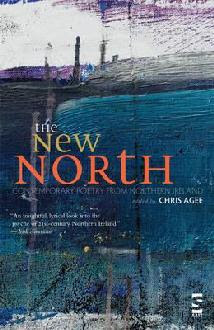 A shortlist comprising a maximum of six poems will be announced and those poems published in the March 2012 issue of ABR. The winner will be announced in the April 2012 issue. Today [yesterday now] was a good day for me when it comes to poetry. We launched David Barnes' PRAYERS WAITING FOR GOD with Janet Jackson, Mal MacKimmie and myself reading selections from it - and Mal reminiscing about early days in Empowa (Emerging Poets of WA). The publisher Coral Carter of MULLA MULLA PRESS drove down from Kalgoorlie to be present, and many of Perth's poetry push were present. The Moon Cafe is a pleasant temperature at this time of year, and with the good sound quality and the live streaming to the Net, the Perth Poetry Club's Saturday sessions are bounding from success to success. This evening I read at a dinner to benefit Blooming Kids and their orphanage in Cambodia. It was held in the senior cit's hall in Old Perth Road, Bassendean. Before I stood, I was reflecting on all the strange places poets get to read in public. For instance, yesterday my wife and I were walking our Jack Russell over the wet lands across from our house. We came across a land management lady who gave us a thorough description of the work doen and planned for this pocket of land, inclduing all the various reeds and rushes, native trees and Eastern States 'invaders'. Chatting away, in her high vis top and muddy boots, she announced she was 'a poet, a bush poet' and immediately launched into a very good and funny poem about Ducks. I asked if she could send it to me for use here. She said, no, she wanted to make money out of poetry. Money! Ha. Poets are the paupers of the art scene - some have defected to prose, others to full-time in academe. Who can blame them - but a fulltime job does make 'inviting the soul' (Whitman) difficult. More chatter soon ... There are poems to compose and dog to feed. David Barnes' book launch 2-4pm PERTH TIME (GMT + 8 hrs) will be streamed live online at http://www.facebook.com/l/31494szBj_LlYZfkQDdUiNjMkBQ/www.livestream.com/perthlive. Thanks to Jamie Macqueen. Mulla Mulla Press and the Perth Poetry Club invite you and your friends to the launch of David Barnes' first book of poetry, PRAYERS WAITING FOR GOD this Saturday, 2 to 4pm at The Moon Cafe, 323 William Street, Northbridge. Readers include Janet Jackson, Mal MacKimmie and Andrew Burke, in the presence of the author and his son Daniel. I have to tell you, these are poems covering the gamut of emotions. They'll make you laugh, they'll make you cry - they'll make you think, they'll make you thank your lucky stars. These are not intellectual poems with the vocab of a Times crossword: these are poems written from the body and soul of a man who has been through the wringer - and still is. But a smile and a gracious word for his fellows lifts these song-filled words out of self-pity and into poetry. Scenes cover early life in a cruel boys' home to a drive along Cottesloe Beach, the 'split sunlight dance' of the Great Barrier Reef to pelicans at South Perth. Love poems, lonesome poems, single-parent poems, physical pain poems... This book packs a wallop. I'd also like to praise Janet Jackson's editing of this manuscript. 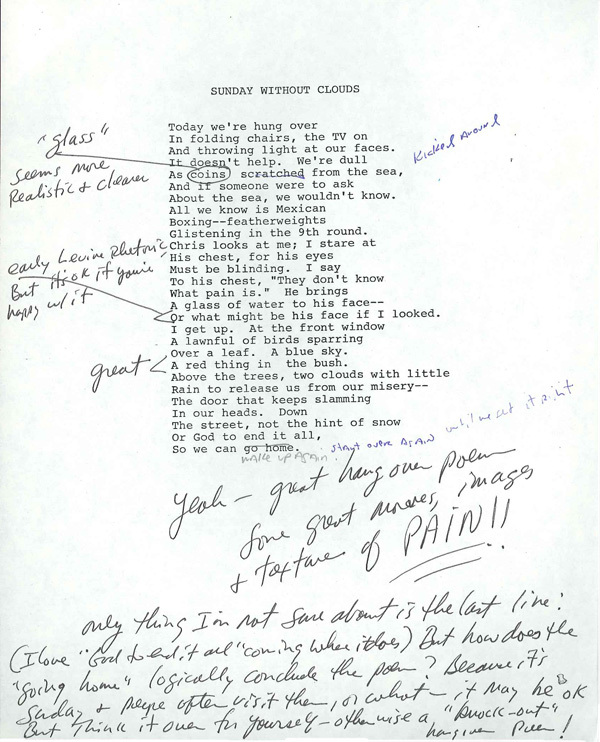 I didn't see the first draft of the complete Barnes' text, but I'm guessing David had a lot more poems up his sleeve. Janet has paced this book and shuffled the poems into a kind of narrative order which adds to the craftily synergistic effect of the entire collection. Coral Carter, as the founder and editor-in-chief of Mulla Mulla Press, should be praised for pulling this work together and publishing it without government support. 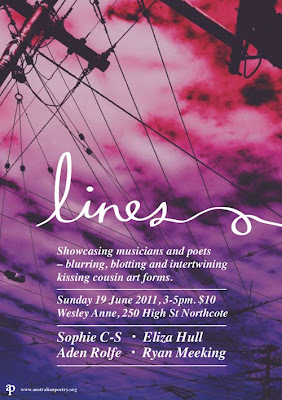 She has put her heart and wallet into supporting WA poets and for this I thank her mightily. Open mic as always, but be early. This will be a busy day! Into The Woods: The Battle For Tasmania's Forests Anna Krien Black Inc.
T.A.G. (Thomas Arthur Guy) Hungerford died in his sleep this morning at the age of 96 with family by his side. Tom was the author of Fremantle Press books Wong Chu and the Queen’s Letterbox and other stories, Stories from the Suburban Road, Knockabout with a Slouch Hat, Red Rover All Over and his collected works Straightshooter. The T.A.G. Hungerford Award for debut authors was named in his honour. Close friend of the author and Fremantle Press Sales Manager, Clive Newman, said Tom Hungerford was one of the early success stories for the Press and he was saddened by the news of the author’s death. “When the first volume in his autobiographical trilogy, Stories from Suburban Road, became a national bestseller, I remember the author’s excitement at the news of his book going into reprint after reprint,” said Newman. 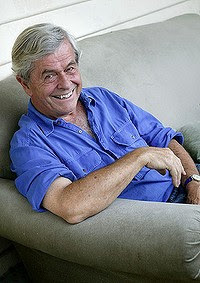 Newman said Tom had a long and lasting association with Fremantle Press, which found expression in his enthusiasm for the literary award bearing his name. “He loved the thought that he was helping recognise new and emerging writers such as Gail Jones and Alice Nelson and he enjoyed reading the winning books,” said Newman. Wendy Jenkins, writer and Fremantle Press editor, said Hungerford was a significant Western Australian writer who was very supportive of younger authors. “He once said to me at a young age ‘You’ve got it Jenkins’ and that meant a great deal to me at the time,” said Jenkins. “His stories evoked what it was like to be a child between the wars – they were very rich in detail and captured the spirit of the time in a way that will endure,” said Jenkins. Hungerford was a soldier who served in World War II before travelling to Japan with the British Commonwealth Occupation Force after the war. In 1948 he moved to Canberra where he worked for the Australian War Memorial and began to write. He is the author of four major novels and numerous poems but is perhaps best known for his short stories. He received an Order of Australia for services to Australian Literature in 1987 and the Patrick White Award in 2002. Staff at Fremantle Press wish to extend their condolences to his family and friends. fourW is one of australia's longest running (& best...) annual anthologies of new poetry & prose. The Booranga Writers' Centre is currently accepting submissions for fourW twenty-two. The deadline for submissions is June 30th, 2011. fourW twenty-two will be published in November, and launched in Wagga, Melbourne, and Sydney. For details on how to submit please read below. For any inquiries, including details of how to order past issues of fourW, contact BOORANGA office staff. Works are read anonymously: include the contributor’s name and address in the cover email message only.Contributions are welcome of original poetry, fiction and graphics/artwork, not previously published. fourW is printed in black & white, so contributions of artwork must be suitable for this type of presentation. If sending electronically, these specifications are advisable: greyscale images that fit a B5 page (176 x 250 mm) at 300 dpi saved as an uncompressed TIF or PDF. The Booranga Prize has been donated by Charles Sturt University, beginning in 2005. $250.00 will be awarded to works selected as the best poem and best short story in the anthology. Short story word limit is 2500 words. Contributors are asked to restrict their submissions to 6 poems or 4 short stories. Submissions should be forwarded in Microsoft Word format by e-mail rather than on hard paper copies. Please include author biography details (2-3 lines) in your cover email / letter. Closing date for each issue of fourW is June 30. Submissions received after this date will be held over to the following year. All submissions will be read by fourW's editorial committee during July and all successful contributors contacted in August/September for proofreading of their own work which will appear in the anthology. All other contributors will be advised of the outcome of the committee’s decision in September. Launch of the anthology is in November of each year. No payment is made for publication - a free copy of the published anthology will be forwarded to all successful contributors. All rights remain with the author. Submissions of writing should be emailed (as a word document attachment) or posted directly to Booranga Writer's Centre. "Tranströmer is that rare thing: a non-English-language poet who has been fully accepted into British and US poetry in his own lifetime. In the 60s he became associated with Robert Bly and the Deep Image school of US poetry, and in the early 90s (after the publication of the first edition of this book) many UK poets caught on. More recently, Robin Robertson translated a selection of his poems in The Deleted World, and hopefully this new volume of Robin Fulton's translations (which includes Tranströmer's most recent work as well as some previously uncollected haiku and a prose memoir) will confirm a third wave of interest in this poet's work." I first came in contact with Transtormer while I was having a Robert Bly binge at the Adelaide city library. Some one at that library had a serious knowledge of contemporary poetry, which had been lacking in the Perth library. I would get on my bike (Adelaide city is very flat so it was easy to ride) with my toddler daughter in her little seat at the back, and pedal off to the library. So I'm looking forward to buying this book for many literary and sentimental reasons. ‘Romanticism has never been properly judged. Who could judge it? The Critics! The Romantics! Who prove so clearly that the singer is so seldom the work, that’s to say the idea sung and intended by the singer. For I is another. If the brass wakes the trumpet, it’s not its fault. That’s obvious to me: I witness the unfolding of my own thought: I watch it, I hear it: I make a stroke with the bow: the symphony begins in the depths, or springs with a bound onto the stage. If the old imbeciles hadn’t discovered only the false significance of Self, we wouldn’t have to now sweep away those millions of skeletons which have been piling up the products of their one-eyed intellect since time immemorial, and claiming themselves to be their authors! In Greece, as I say, verse and lyre took rhythm from Action. Afterwards, music and rhyme are a game, a pastime. The study of the past charms the curious: many of them delight in reviving these antiquities: – that’s up to them. 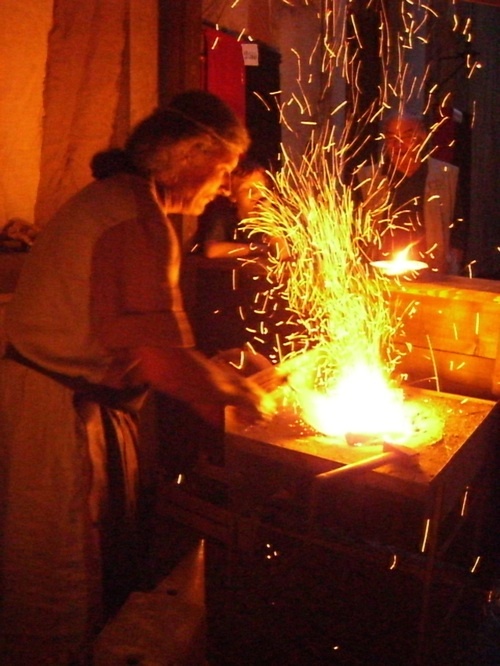 The universal intelligence has always thrown out its ideas naturally: men gathered a part of these fruits of the mind: they acted them out, they wrote books by means of them: so it progressed, men not working on themselves, either not being awake, or not yet in the fullness of the great dream. Civil-servants – writers: author; creator, poet: that man has never existed! The first study for the man that wants to be a poet is true complete knowledge of himself: he looks for his soul; examines it, tests it, learns it. As soon as he knows it, he must develop it! That seems simple: a natural development takes place in every brain: so many egoists proclaim themselves authors: there are plenty of others who attribute their intellectual progress to themselves! – But the soul must be made monstrous: after the fashion of the comprachicos, yes! Imagine a man planting and cultivating warts on his face. I say one must be a seer (voyant), make oneself a seer. So the poet is truly the thief of fire, then. He is responsible for humanity, even for the animals: he must make his inventions smelt, felt, heard: if what he brings back from down there has form, he grants form: if it’s formless he grants formlessness. To find a language – for that matter, all words being ideas, the age of a universal language will come! It is necessary to be an academic – deader than a fossil – to perfect a dictionary of any language at all. The weak-minded thinking about the first letter of the alphabet would soon rush into madness! This language will be of the soul for the soul, containing everything, scents, sounds, colours, thought attaching to thought and pulling. The poet would define the quantity of the unknown, awakening in the universal soul in his time: he would give more than the formulation of his thought, the measurement of his march towards progress! An enormity become the norm, absorbed by all, he would truly be an enhancer of progress! This future will be materialistic, you see. – Always filled with Number and Harmony, these poems will be made to last. – At heart, it will be a little like Greek poetry again. Eternal art will have its function, since poets are citizens. Poetry will no longer take its rhythm from action: it will be ahead of it! These poets will exist! When woman’s endless servitude is broken, when she lives for and through herself, when man – previously abominable – has granted her freedom, she too will be a poet! Women will discover the unknown! Will her world of ideas differ from ours? – She will discover strange things, unfathomable; repulsive, delicious: we will take them to us, we will understand them. Meanwhile, let us demand new things from the poets - ideas and forms. All the clever ones will think they can easily satisfy this demand: that’s not so! ….. The eleven finalists have been announced for the Peter Cowan 600 Short Story Competition and it’s the experienced writers who have excelled according to the President of the centre, John McMullan. Sarah Evans with ‘The Fishing Trip’ is a former journalist who now writes fiction across various genres. She is published in Australia, UK, US and New Zealand with novels, novellas, short stories and poetry. She writes for the women's magazine market and has had stories broadcast on ABC Radio. She has won many writing awards and currently has a crime novel under consideration with an Australian publisher. Her lifestyle/recipe book 'Seasons and Seasonings in a Teapot' is an amusing account of her home-schooling family's attempt at self-sufficiency in the Southwest. Sarah gives talks and teaches creative writing. She edits for a children's publisher and is the organiser of Bridgetown's writers' festival 'Words in the Valley'. Samantha Sirimanne Hyde from Denistone, NSW with ‘The Gecko’s Fault,’ which was prompted by the intrinsic concept of karma. Samantha was born in Sri Lanka and migrated to Australia in 1990. She holds a MA in Creative Writing from Macquarie University, Sydney, has published a collection of short fiction called ‘The Villawood Express & other stories’ and her work has appeared in several anthologies. After working as a public servant and then operating a motel till recently, she is now enjoying a well-earned break. Julie Jay is a Melbourne-based writer, editor and small-press publisher. She’s won the Local Writers section of the Alan Marshall Short Story Competition and her short fiction has appeared in Wet Ink, 21D and Award Winning Australian Writing 2009. She lives in an old house on a big hill with her husband and five children, and her story, ‘Nigel’s Soul’, is about every anxious first date she’s ever had. ‘Santiago Evening’ was written by Sean Adams who was born in Melbourne in 1960. He has published several poems and short stories in anthologies auspiced by the Prahran Mission, in an anthology published by Wombat Books (Qld) entitled "Unborn Beauty" and in Polestar Literary Journal (Also in Qld). He has studied Spanish and is planning a novel. He has recently discovered the joys of Scandinavian crime literature. Karen Atkinson from Denmark, WA, entered 'The Nest'. Karen is currently working on a book about Anangu Teachers from the Anangu Pitjantjatjara Lands, and her first novel. She enjoys writing prose and poetry and has a story Myfanwy, published in Cat Tales with Spinifex Press. Once In Broome, published by Magabala Books was a collaboration between Karen and Broome artist, Sally bin Demin. Janeen Samuel lives in South-West Victoria, dabbles in fiction and poetry, and occasionally manages to have her work published: most recently in 2010 a story in "Andromeda Spaceways Inflight Magazine" #44 and a poem in the anthology, "Off the Path" published by Central Coast Poets Inc (NSW). Her stories often have an element of fantasy or science fiction, maybe because she's too lazy to do the research required for realistic fiction. Her entry ‘Dreamwater’ did indeed come out of a dream, though the ending for her (so far) is different. ‘Shalom’ is by Dave Bowen who is originally from Southampton, UK originally, and is now retired from the publishing business he started in Mandurah WA in 1996, the year he also took on the job of co-ordinator of Coastal Writers, a group still helping local people become published authors. *db publishing* produced over 100 titles for local writers and Dave has published 8 poetry, short story and crossword books of his own. Since the age of 15 he has won many awards and been part of several anthologies here and overseas. His favourite success was writing the winning poem for the inauguration of the Mandurah Performing Arts Theatre and having it performed at the opening ceremony by theatre historian, Ivan King. Mark Edginton is a Senior Technician in Vegetation Mapping and Survey at the Queensland Herbarium, Brisbane. He produces vegetation maps, identify plants and curates a number of plant families and genera in the Herbarium collection. He’s made a couple of starts at writing novels in my early twenties, but at the time didn't have the life experience, focus or inspiration to complete the job. He finally became serious a few years back when he wrote Stone Fish, Texas, a humour/drama novel about an ex-Union Civil War veteran who becomes a sheriff in the fictitious town of Stone Fish, Texas. After reading online that publishers won't look at manuscripts from new authors unless they are brought to their attention by author agents, He soon discovered that most agents are so busy with their current clients that they don't have time to look at anything by new authors, unless they already have an impressive c.v. As a member of the Queensland Writers Centre, he discovered that one way to resolve this Catch 22 situation was to enter writing competitions, which he has only just started to do in earnest. Yvonne Annette Elliot has two entries in the final eleven, ‘Barbara and the Shoplifters’ and ‘LUV’. Bio: I have written poetry for my own pleasure ever since I can remember. I always thought that I could not write fiction as I didn’t have a good enough imagination. I often wrote articles, and when the children were young, I wrote a lot of “Letters to the Editor” of Women’s Magazines, as the few dollars they paid made me feel good. Because I had left school at age 15, I always regretted not going to university. At age 47, I thought “why not”? I sat for the Entrance Exam, in English and in French, and graduated when I was 57 years old. It took me that long because I was working as well, my father was very ill, my marriage was ending, and I had a lot of other dramas in my life. As part of my degree I took Creative Writing, and had the most amazing Lecturer. One thing he taught me was how to write fiction. It was like releasing a demon inside me, now I write the most outrageous things. I can live a fantasy life in my stories. A pacifist in real life, I commit crimes, and get away with it, via a character I have created. I always said that when I retired I would write non-stop. I belong to the Great Lakes Fellowship of Australian Writers, and also a Creative Writing Group with U3A. I still write letters to the editor of magazines, and getting $50 for a couple of minutes work is very rewarding. I enjoy entering competitions, and it really stretches me, and I love it when I get feedback, so even when I don’t get a place, I learn something new. Maggie Veness hails from Coffs Harbour, on the sunny north coast of NSW, and loves her fiction short and bitey, like a good espresso. Give her an idiosyncrasy or peccadillo and she’ll write you a story that reveals her quirky, raw, or irreverent sensibility. The inspiration for ‘Cold Meat’ came from secretly wanting to kill off some of her ex-husbands. Maggie’s award winning work has been published in the US, UK, Canada, Australia and NZ. The judge, Shane McCauley, had his first short story published in Westerly when he was 20, and won the Tom Collins Short Story Prize a year later (1976). 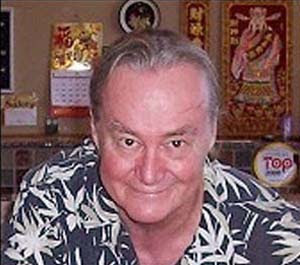 He has taught, among other subjects, Creative Writing for 35 years and was a TEE Literature examiner. For several years he reviewed books for 'The West Australian' newspaper. A graduate of the Universities of WA and Sydney (BA Hons, MA Hons), he currently teaches Creative Writing for Polytechnic West and the OOTA Writers' Group at the Fremantle Arts Centre. Helen Hagemann’s Saturday Poetry Class on 18th June will look at “The Poetry of Travel”. The class will look at how travel highlights and frames distinctions between home and away, and offers the chance to record a world elsewhere. Prior to writing exercises the class will look at the many tips for writing ‘travel poetry’, especially entering a poem prismatically. Poets cited: John Forbes, Elizabeth Bishop, Fleur Adcock, Bronwyn Lea, Billy Collins, Mark O’Connor, Diane Fahey and more. Perth Poetry Club brings you, on Saturday 18 June, with great fanfare and much ado, the fabulous, villainous anti-hero: BYRON BARD. When he is finished with you, you won’t be quite sure what century you’re in, but you will know you’ve been royally entertained. At The Moon Cafe, 323 William Street, Northbridge between 2 and 4 pm. With open mic and professional sound. After years of writing, editing and publishing his poetry for enthusiastic readers in Australia and overseas, Perth poet David Barnes has at last created a book. Spanning a lifetime, crafted with care, spoken in David’s inimitable, gentle Australian voice, these are poems of the stark spirituality of nature, the meeting of eyes, hands and souls, the joy and bewilderment of birth, the tearing grief of premature loss and the horror of abuse. This is David Barnes first book. corners curled, brown with age. a dress of deep blue velvet. She smiles, radiant, at me. It was me, a child. It was my mother, a woman I never knew. The photo came too late. We are now seeking poetry submissions for the new Australian Poetry Journal. 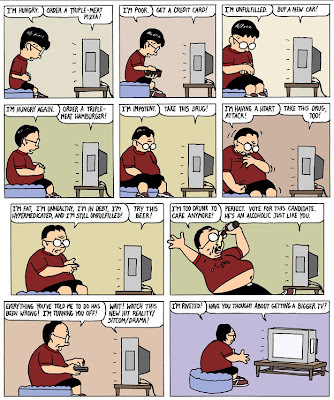 The closing date for the first issue is 4 July 2011. BY POST – to Submission – Australian Poetry Journal PO Box 21082 Little Lonsdale Street VIC 8011. Manuscripts will not be returned. BY EMAIL – to victoria@australianpoetry.org with the subject title Submission – Australian Poetry Journal. The entry form is to be completed and sent as an attachment to the email. Poems previously published (in hardcopy or online) will not be accepted. Entries should not be on offer to other publications or competitions at the time of submission. 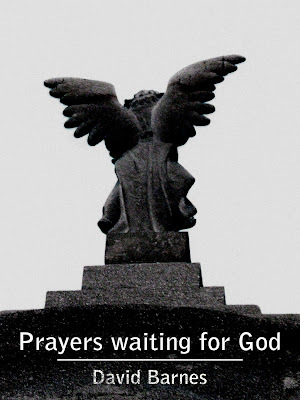 There is a maximum submission of 5 poems per writer per issue. 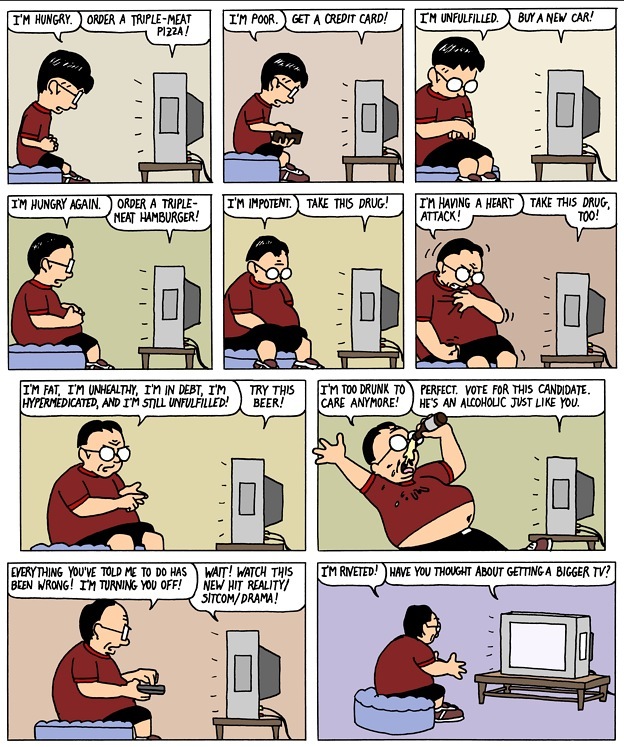 The closing date for the first issue is 4 July 2011. Entries postmarked 4 July 2011 are acceptable. Writers will be notified of the results via email. If you do not have an email address, please include a stamped self-addressed envelope with your postal submission. Full terms & conditions listed on submission form. Our vision is to establish a well-respected journal of modern Australian poetry that is utilised by poets, students of poetry and poetry enthusiasts alike. The journal will reflect current priorities and trends in the poetry industry. Australian Poetry Members will receive the AP journal as part of their membership. This is an open call to New Zealand and Australian poets for submissions to Issue 2 of Eye to the Telescope, the Science Fiction Poetry Association's new online journal, to be edited by Tim Jones and published in July/August 2011. The focus of Issue 2 is on New Zealand and Australian speculative poetry. Issue 2 will include a maximum of 20 poems. This is a paying market. The 2011 Sydney City Poet - Apply Now! The 2011 Sydney City Poet will be appointed for a 1 year term, commencing in July 2011. The City Poet will be based in an office with the Creative Practices Area of the University of Technology Sydney (UTS) on a part-time basis and will receive a stipend of $20,000 for the year, provided by the NSW Government. The position of 2011 Sydney City Poet is supported by the UTS Centre for New Writing and the NSW Government through Arts NSW. Wallace-Crabbe published his first collection, The Music of Division, in 1959; next year New and Selected Poems will appear. In between there have been 15 other collections and a novel. He has edited several books and remains emeritus professor at Melbourne University's Australian Centre, of which he was founding director in 1989. He has held visiting academic posts at Harvard, Yale, Venice and Exeter universities, and is founding chair of the Australian Poetry Centre. Electio Editions is delighted to present the second book in its alphabeta series. if not in paint traces not only a series of ecstatic moments, a kind of alongsidedness of the occasion of writing, but also exhibits its own response to the very commission of writing for Electio. Altho Marion May Campbell is more widely known as a novelist, the poetry in her recent book, Fragments from a paper witch, shows her as a poet of brilliance, sensitivity and skill of a high order – ‘I read the texture / not the word / of shop front signs / the frets and struts / that rust behind each letter’ (from there is no electric miracle). For this book, Miriam Morris has done two original drawings (that is, each copy has originals, not printed images) in pen & acrylic inks. A limited number of extra sets of the drawings, suitable for framing, will also be available. The book has 24 pages, the types are Giovanni Mardersteig’s Dante and S H de Roos’s Libra, and the printing is on damped BFK Rives Heavyweight paper on a Pratt-Albion handpress. Binding is a single handsewn signature done at the Press in a protective box made by Duncan Group, Melbourne. All copies will be signed by the poet & artist. Price : AUD $260 the copy for the book. For the book plus the extra set of drawings, AUD $350. Poems and Poets seeks poems for an anthology celebrating the international poetry year. Of special interest are poems that touch on the human relationships, love, life, death, family, politics and nature. The editors are especially interested in themes related to humanity and/or environmental, consciousness but are open to diverse subjects.Political poetry and poetry of witness encouraged. No entry fee. Deadlines: July 15. 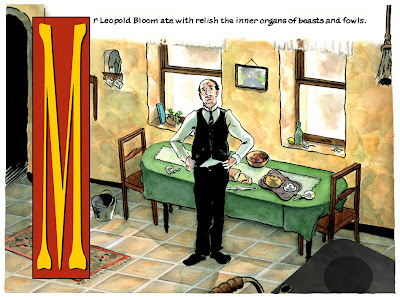 The focus may be on issues of modern life daily experiences in poetry of any genre. Requested are submissions that address the theme(s)of Human Relationships, War and Peace, Borders, Identity, Love, Life and Death, Inspirational, Politics, Women, etc... in new and exciting ways that allow readers to see the multiplicity of angles and issues these broad headings generate. Submissions are open to any creative writers in academic scholarship cycles (students, professors, etc.) and poets from confirmed ones to emerging ones. Feel free to transmit and publish this Call for Papers and information among your academic poetry and literary community and websites. PS: The logo wording up top is in white, so you must reverse it somehow to see it! PERTH POETRY CLUB - NOW STREAMING LIVE! 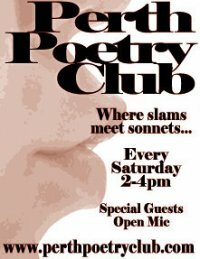 The Perth Poetry Club has been going some years now and is settled in at The Moon Cafe in Northbridge every Saturday afternoon from 2 to 4pm. They have guest readers and sometimes a little live music, plus a spirited bunch of open mikers who entertain with poems from the light hearted to the saddest of tales. Only minutes to go today - but come back next week and tune in again at 2pm. There'll be a launching of David Barnes new Chapbook from Mulla Mulla Press with reading by Janet Jackson and Andrew Burke - plus others and Open Mic . The coffees not bad either! The Moon is licensed and serves up a few delicious dishes. Saturday afternoons were never so much fun! Cut and Fold Escher - Wow! 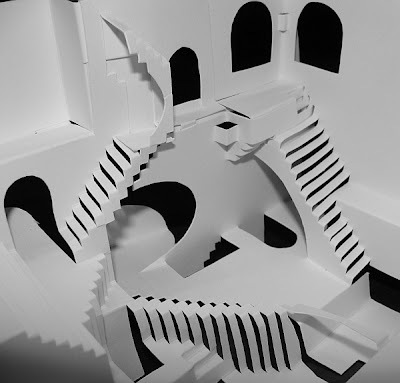 Go to http://blog.makezine.com/archive/2011/05/math-monday-cut-and-fold-escher-2.html and get the lowdown and the diagram to make your own cut&fold model of Escher's Relativity. Brilliant! I never did pass kindy so I'm probably never gunna make it, but I'm sure in you have an hour's worth of patience, it can be done. Just quickly, I wrote about Prose Poems recently and tried a few drafts here - which caused a few people to ask me questions. I gave short, probably useless, answers. So now I am directing anyone interested in the form to Poets.org's history and explanation, with examples, at http://www.poets.org/viewmedia.php/prmMID/5787 In the margin they have a great list of examples, too. The best way to find out about any poetic form is to attempt it. Even a rough and tumble result will have taught you more than any instruction manual. 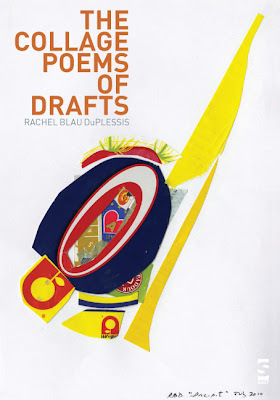 Biographical note: Rachel Blau DuPlessis is an American poet-critic, whose long poem project, Drafts, begun in 1986, is collected in several book-length instalments. These include Pitch: Drafts 77-95 as well as Torques: Drafts 58-76, Drafts 39-57, Pledge, with Draft unnnumbered: Précis and Drafts 1-38, Toll. In 2006, two books of her innovative essays were published: Blue Studios: Poetry and Its Cultural Work on gender and poetics, along with the ground-breaking The Pink Guitar: Writing as Feminist Practice. Main description: Rachel Blau DuPlessis has, to cite Walter Benjamin, “an edgy attraction to history’s material residues.” This has been one motivation of Drafts as a decade-long project, and it is a central motivation for The Collage Poems of Drafts. This book consists of two sequenced mixed-media works for reading and looking that move back and forth across the porous border between language and image. Draft 94: Mail Art alludes to the international collage exchanges send by the post; Draft CX: Primer examines the suggestiveness of the alphabet as one baseline of language and poetry, one method of making signs. Both works suggest the transport of daily life. These collages are acts of making, layering, and evoking by juxtaposition. They are cryptic, gnomic, even partly narrative, but as a whole they announce her fundamental commitment to juxtaposition—via syntax and segment in the poetry, and via image and color in the collages. They produce actualized metaphor, with talismanic signage, gnomic language, color, script, string—a thread of suggestive meanings set in play. These works are part of the bricolaging, anti-monumental sensibility of the work as a whole. They glean, they unpack and layer, they deturn images, they rescue and reframe the debris. Unbelievably, Bob Dylan is 70 in May. 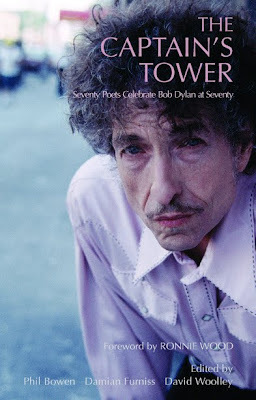 The Captain’s Tower is a birthday present anthology of poems concerned with Dylan’s life, his work, and his cultural impact. One of the most distinguished lyricists of the post-war period, Dylan has entertained and inspired poets, writers generally and millions of ordinary fans with the imagery, wit and technique of his writing, be it in songs of love, protest, faith or pure Dylan-ness. This is a sweet event where my friend Frank Parker reads his work-in-progress poem Win Po to the lyrical accompaniment of Lyon Leifer, well traveled and musically experienced flautist. It was recorded at The Drawing Studio on March 26, 2011. 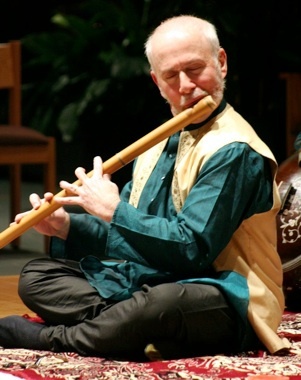 The words are set down but the music is a variation on Indian raga, an improvised piece of classical Indian music with spiritual roots. You can also click back on this site to find lots of other readings by poets you may have heard of - http://www.pogsound.org/. There's Rae Armantrout, Charles Alexander, George Mattingly, Mark Weiss and Eileen Myles, to name a few. Go for a wander and lend an ear. 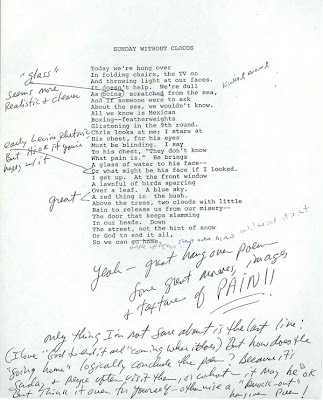 Many a time it inspires poets to hear other poets read their work, live or recorded. we are keeping this gallery of spaces. of pieces that emphasise what is lost. counting our places, in the absence of saints. The following poem by Czeslaw Milosz and poems by Adam Zagajewski and Zbigniew Herbert are being displayed on the London Underground. All post-war Polish poets, they continue the great tradition of Poems on the Underground which has been going for 25 years. They also celebrate another anniversary: the centenary of the late Nobel Prize laureate Czeslaw Milosz. As a footnote to this current news, West Australian poet Tracy Ryan had a poem displayed on the Underground some years ago when she was living in UK. Perhaps writingWA or WA Poets Inc could campaign to have the same on Transperth vehicles. A hand or a foot pedal – I don’t remember. But that blowing and blazing of fire! Plowshares, sledge runners, harrows waiting for repair. In July 2010, Mike Ladd spent a week in Singapore interviewing its leading poets from Chinese, Malay, Indian and other backgrounds to find out what they really think of the place and how it influences their writing. He spoke to the elder statesman of Singaporean poetry, Edwin Thumboo, who was born in 1933 in the British colonial period, lived through the war and Japanese occupation, the post-war independence movement, the rule of Lee Kuan Yew, and is still active as a poet and lecturer today. Alfian Bin Sa'at is a dissident playwright and poet of Malaysian descent who has written a harangue called 'Singapore You Are Not My Country', a long, Ginsberg-like wail of a poem, and we also hear a reading of this work in the program. Aaron Maniam gives us an insight into life as a Muslim poet in Singapore, and Pooja Nansi into her writing as a young woman of Indian descent, pushing up against Singaporean conventions. We also hear from leading poet and editor Alvin Pang, who gives us a briefing on the phenomenon of 'Singlish', that characteristically Singaporean reworking of English, and he reads a poem written in Singlish. Additional readings by Daniel Browning and Mei Wong. Thanks also to Chris Mooney Singh, Savinder Kaur and Alvin Pang for assistance with research. From Tumasik Contemporary Writing from Singapore. From Over There: Poems from Singapore and Australia.